A system includes an unmanned aerial vehicle having a body with a hollow cavity, a plurality of rotary assemblies secured to the body and configured to provide lift, a control system disposed within the hollow cavity, a deterrent device secured to the body, a remote communication device operably associated with the control system. The method includes providing tracking location of a user upon activation of the remote control device, autonomously flying the unmanned aerial vehicle to a location of the remote communication device, and delivering a payload. 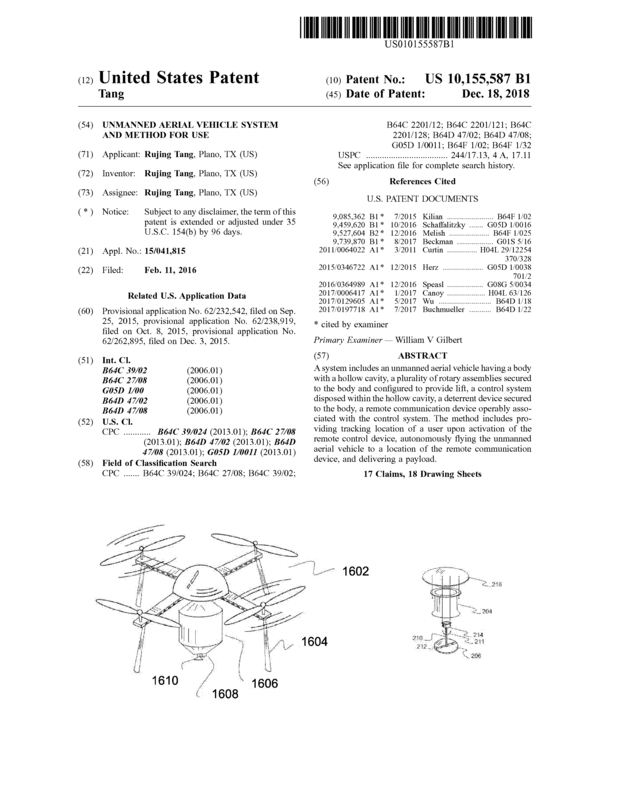 Page created at 2019-04-25 10:00:04, Patent Auction Time.